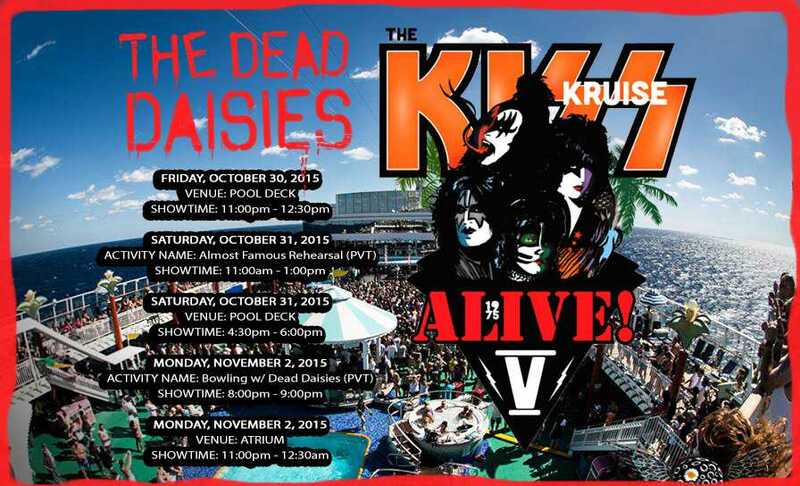 ATTENTION GUESTS OF THE KISS KRUISE!!! SHOW TIMES ANNOUNCED! ATT GUESTS OF The KISS Kruise!!! Here are our show times, make sure you come and meet us personally, have a drink with us – but more importantly ROCK OUT WITH US!! It’s going to be so much fun, we love the KISS army!